Murder by Gaslight: The Talbotts. Dr. Perry H. Talbott was among the most prominent citizens of Nodaway County, Missouri. In addition to being a skilled physician, Talbott was state legislator, a writer and a newspaper editor. He was a civic minded citizen with strong beliefs, highly admired by friends and neighbors. But towards his family, Dr. Talbott was cold and distant. Miserly and neglectful, he had little interaction with his children beyond the occasional scolding. 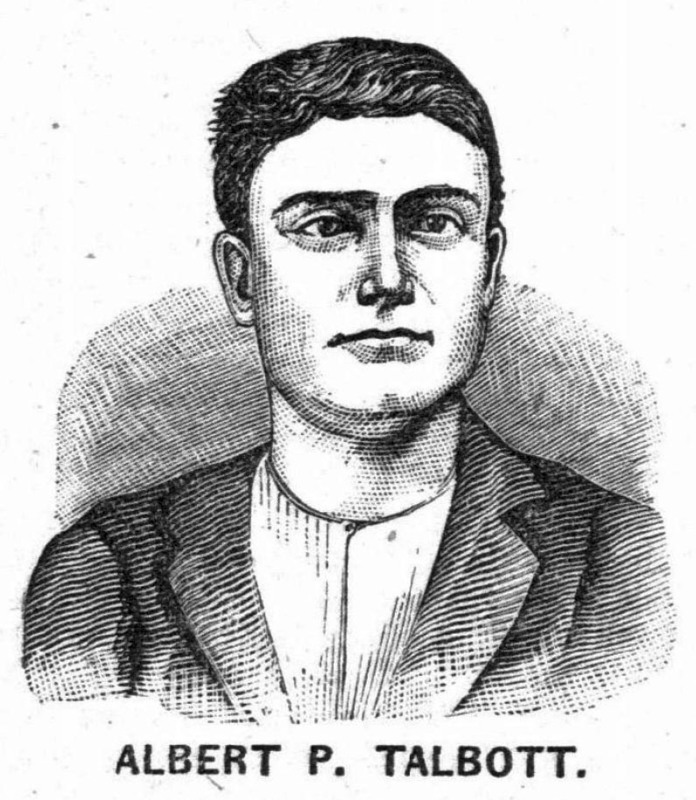 When Dr. Talbott was shot by an unknown assassin on September 18, 1880, in his dying breath he blamed his political enemies. The Nodaway county authorities, however, believed the killer was someone closer to home. Perry H. Talbott was born in Illinois and earned a medical degree in Columbus, Ohio. 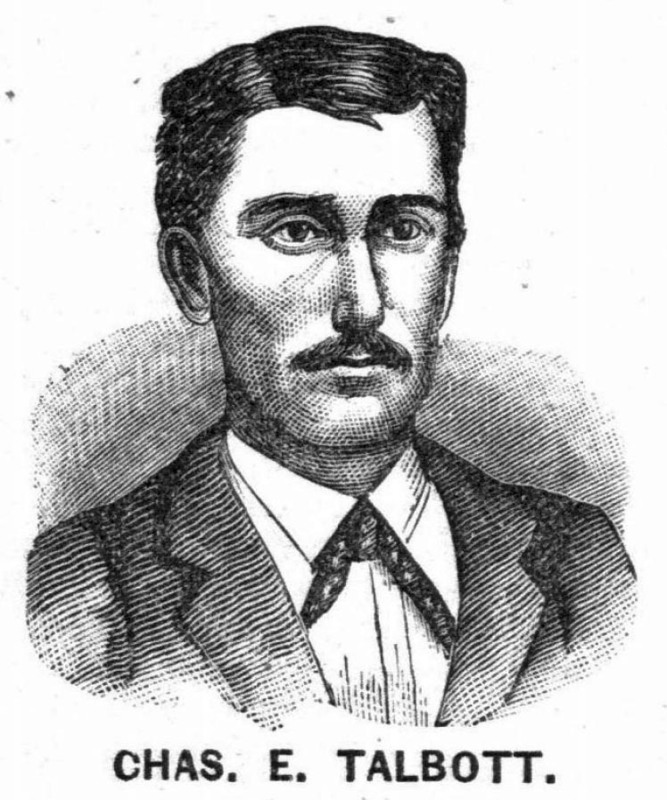 Upon graduation he traveled west, first to the California gold fields, then to Northwest Missouri where he made his fortune as a country doctor. In 1853 he married Belle McFarland and together they had twelve children. When the Civil War broke out, Talbott enlisted in the Union army. After the war he entered the political arena first as an Independent Democrat, then in 1876—in opposition to both Democrats and Republicans— he became identified with the Greenback Labor movement, advocating the continued issuance of currency not backed by gold or silver. Talbott was the editor of the Greenback Standard and in 1880 Talbott made the nomination address for the presidential candidate at the Greenback Party convention. Tall and strong with black hair and beard and deep-set blue-gray eyes, Dr. Talbott was a commanding figure. He was a man of extraordinary ability with an indomitable will. He also had an estimation of his own importance which even his friends conceded was somewhat overblown. Dr. Talbott’s home, however, would belie any notion that it was occupied by a successful man. He was tightfisted with money and had no interested in adorning his house. The floors were uncovered; curtains were old and threadbare. He took no pride in his children—five boys and seven girls—who grew up wild and undisciplined. The house was also an arsenal of small arms, with both the girls and the boys familiar with their use. The evening of September 18, 1880, after returning from a visit to a sick child, Dr. Talbot was in the sitting room reading a speech that he planned to publish. A shot rang out and a bullet came through the window passed through the doctor’s chest and grazed the calf of his wife before embedding in the wall. Dr. Talbott’s son, Albert, grabbed a shotgun and ran from the house to chase the assassin. Dr. Talbott managed to stay alive until 2:30 the following afternoon. Before he died Talbott said he thought the shooter must have been a paid assassin of the national banks, “some enemy of the great cause which I represent.” A coroner’s jury was convened. and they concluded that Dr. Talbott had been assassinated by some unknown person. Monday, October 25, 1880—We this day of the Lord eighteen hundred and eighty, go in contract together, Albert P. Talbott, Charles Talbott, Wilfred Mitchell, Frank B., Hudson, for the purpose of bank robbing, train robbin, and staig robbin and safe and each one shall be sworn into the same to stay together until death in every attempt to obtain buty, and in case any of one betrays us of our men deth is his portion at any time the first train and bank is robed any one in the bond can resine if he chooses and if he does resine he must keep al secrets to himself or he shall be killed and their must be a equal division of the bouty and before any train is robed or anyting is dun there is one traitor in the band that must be killed before we can proceed fother. The traitor who needed to be killed was Henry Wyatt, a hired hand who also lived in the Talbott house. The boys told Brighton that they had murdered their father and that Wyatt knew about it. They did not trust him and wanted Brighton to take him out of the way before he could betray them. Brighton took this information to the Marshall. In the meantime, the sheriff had obtained information of his own, including a statement form Wilford Mitchell, one of the signers of the contract, implicating the Talbots. Albert and Charles Talbott, along with Henry Wyatt were arrested for the murder of Dr. Perry Talbott. Mrs. Talbott was held as an accessory. The Talbott case generated enormous interest in Nodaway County and the trial had to be moved from the county courthouse to Union Hall, a room capable of holding seven or eight hundred people. But those chosen for the jury were form the most remote parts of the county and knew little of the case. 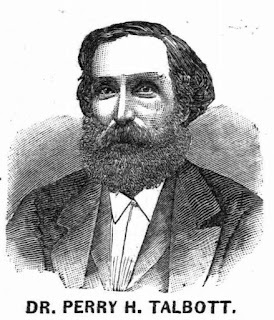 The prosecution presented the testimony of Jonas and Virginia Brighton who claimed the brothers had admitted to killing their father and had offered Jonas fifty dollars to kill Henry Wyatt. Wilford Mitchel and others testified that Albert Talbot had spoken about killing his father before the murder. Henry Wyatt turned state’s evidence and testified that the Talbott brothers had planned several times to kill their father and that Charles had shot him through the window. He also told how the Talbotts made their own bullets by shaping pieces of lead, rifling them with a knife and loading them into cartridges. His description matched the bullet extracted from the wall. The defense spent much of their time impeaching the character of Mr. and Mrs. Brighton. More than a dozen depositions from Kansas attested to the bad character of Jonas who had spent four years in the state penitentiary and Jennie Hudson, who had a bad reputation for "morality and chastity" and might not have been legally married to Brighton. They also presented evidence that Willford Mitchell had conspired with Frank Wyatt to murder Dr. Talbott and throw the blame on Talbott’s sons. When the testimony ended, attorneys for the prosecution and defense, in alternating order, each delivered three closing arguments. The jury deliberated for two and a half hours and returned with a verdict of guilty of murder in the first degree. A motion for a new trial was denied and the Talbott brothers were sentenced to hang on March 25, 1881. The case was appealed to the state Supreme Court who upheld the verdict. On June 24, 1881 thousands of people gathered in Maryville, Missouri to witness the execution of Albert and Charles Talbot, but at the last minute Governor Crittenden sent a telegram postponing the hanging until July 22. During that interval, Charles Talbott confessed to murdering his father. After he had gone to bed the night of September 18, he heard his mother crying for help. He came downstairs and found his father kicking his mother as she lay on the floor. Charles grabbed as shotgun and shot his father in the back. His father told the story about the assassin because, facing death, he wanted to forgive and be forgiven, and because he wanted the public to think the national banks had hired an assassin to silence him. The confession created a great deal of excitement in Maryville and changed quite a few minds regarding the Talbott brothers' guilt. Many believed that the truth had come out at last and thought the boys had defended their mother and should be released. But others thought that the confession was self-serving and false. The governor was not convinced; the execution would go on as scheduled. The day before the hanging the Talbott’s issued another “confession.” Albert spoke this time. He claimed that it was Wilford Mitchell who murdered his father. Several years before Mitchell’s wife had been a patient in the Talbott house where the doctor was treating her for consumption. Dr. Talbott and Mrs. Mitchell had an argument and Talbott sent her home. She got a chill on the way home and died soon after. Mitchell had held a grudge and conspired with Wyatt to murder Dr. Talbott. This new statement had a negative effect. The boys lost the support of those who had believed Charles’s confession. This time the governor did not stay the execution. On July 22, 1881, between eight and ten thousand men, women and children witnessed the hanging, in Maryville, Missouri, of Albert and Charles Talbott. Segrave, Kerry. Parricide in the United States, 1840-1899 . Jefferson, NC: McFarland & Co., 2009. Talbott, Albert P., and Charles E. Talbott. History of The Assassination of Dr. P.H. Talbott and The Trial of His Two Sons .. Maryville, Mo. : Printed by the Republican Steam Job and Book Office, 1880.